Finding the right payroll solution for your small business can seem like a daunting task–do you buy payroll software? Accounting software? Do you just use your accountant or bank? This article will clear up those questions for your small business. We’ve found that HR/payroll software like Gusto works well for most small businesses and is affordable. Gusto is packed with features for small businesses, like automatic tax filings & digital paystubs. Get one month free here. All in one solution including benefits provision (if you want it) and other add-ons like time off tracking. May cost more than other software since it has more capabilities. Many small businesses, especially those that are growing fast or have multiple locations, pay schedules, or a mix of hourly/salaried employees. An easy solution to payroll issues and compliance. Compliance, such as workers comp and state taxes, is guaranteed. Don’t offer benefits or solve other HR needs. Need to make sure you pick one that works for business not just now, but as it expands. Small businesses with multiple locations, pay schedules, or a mix of hourly/salaried employees. Accounting and payroll together makes sense. Compliance factors like workers comp need to be done on your own. Very small businesses, less than 5 employees. Accountant You know and trust your accountant. Costlier and you still will need to check compliance like workers comp on your own. Very small businesses, less than 5 employees. Your Business Bank Probably an add-on service for a monthly fee, making it easy. More expensive and without any compliance factors. This is not our recommended solution for small businesses. Next, we’re going to cover 5 questions to ask yourself that will help you narrow down the best of these 5 options for your small business. Below, we will ask you 5 questions about the basic demographics of your business and your employee base to help you choose a payroll solution. They are general questions, so you don’t need to know any exact numbers in order to answer them. When answering these questions, you may also want to think about the future employee base of your business–if your business model is going to change soon, you’ll want to consider that when choosing a payroll solution. Question 1: How many people work at your company? Let’s start simple: how many employees do you have? The reason this matters is that if you have, say, only 3 employees, you might get your accountant to roll your payroll into his or her monthly services for free. Or perhaps you have 25 employees–then you know you’ll want to look at our software options since 25 paper checks and manual entry could mean a lot of problems and errors. 0-5 employees—you’re considered a very small business and subject to very little regulation, so you won’t need to really worry about compliance issues. All of the payroll options we list in the table above should work for you. However, if you go with your accountant or bank, you will need to make sure you have workers compensation insurance and have the right paperwork filed with the state. 6-50 employees—you’re considered a small business and you may have certain requirements in some states on things like sick leave. HR and payroll software like Gusto can help make sure you are compliant with your state laws. 50-100 employees—still a small business, but you will want a payroll solution that can comply with all federal requirements, including the Family and Medical Leave Act (FMLA). All-in-one HR software or a payroll software/service are your best options. 100+ employees—you’re moving towards a medium-sized business and need to consider the cost of volume (i.e. a solution that charges per employee will not be appropriate). You will need to comply with all federal and state laws. With this many employees, all-in-one HR software is a must here since you have over 100 moving people in your organization, as well as benefits. Question 2: Where is your business located? What city and state is your business located in? Do you have just one location? Do you have remote employees or overseas employees who work remotely for you? Just one location or locations all in the same state—you have the simplest payroll situation. All of our options from our table are available to you. More than one location in more than 1 state or remote employees in more than 1 state (or country)—In this case, you’ll have to meet more regulations, so you’re better off opting for HR software or payroll software in order to ensure compliance with federal, state, and city requirements. 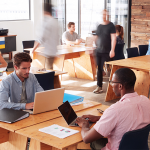 Location is always important when considering a payroll solution for your business. You can learn more about federal, state, and city regulations in our PTO guide, maternity leave guide, and paternity leave guide. Question 3: Are your employees hourly or salaried (or a combination)? Next, what kind of compensation you give your employees should be considered when looking at payroll solutions. All hourly employees—you will most likely want to look at payroll software that includes a time tracking feature like Z2 from Zenefits (on limited release) or a payroll software that can integrate with a time and attendance software or time-tracking software. All salary employees—this is the simplest situation for payroll solutions and we would recommend HR or accounting software, unless you have only 1-4 employees, and then you could consider all 5 payroll options we list above. 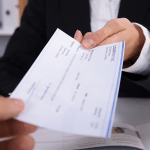 A combination of hourly and salary—you will most likely want to look at payroll software that includes an ability to pay both sets of employees on separate pay schedules (i.e. salaried might be monthly or 2x per month, whereas hourly might be biweekly). All-in-one HR software like Gusto is likely your best option. Question 4: Are your employees mostly part time/full time, or are they 1099/independent contractors? If you have mostly part time or full time employees, then most payroll solutions can work for you since they will require the standard tax reporting. If you use a lot of independent contractors, aka “1099 employees,” you will want to check that your payroll solution can also pay them without an additional fee. Gusto does not charge a fee for 1099 employees; you simply pay the $6/person paid each month, regardless of their tax status. Question 5: Do you offer benefits (or want to offer benefits soon)? If your business wants to or already does offer benefits, payroll is going to be more complicated with deductions for those benefits. If you want to offer benefits, or if you currently do, Gusto currently offers benefits provisions as an additional service with their payroll software. For a full guide to offering employee benefits, click here. Though the number of employees you have, where they work, and their employment types matter a lot when picking a payroll solution, we also want to give you a few other factors to consider. Some are lightly touched on in our table above, but this will outline them in more detail. Every small business owner cares about cost of running payroll. You want it to be done accurately but without paying an arm and a leg for it. In general, the most expensive solution will probably be working with your accountant or paying your business bank to process payroll. The cheapest, generally, will be a software such as accounting, payroll, or HR software or an all-in-one HR solution like Gusto. Workers compensation, payroll taxes, and other compliance issues are important areas you will need to upkeep once you start to hire people. If you’re a business owner who just wants to know they are done, you will want to strongly consider HR software or payroll software. For example, if you choose Gusto, you can purchase and set up your workers comp coverage right from within the software. If you would rather do it yourself to track costs, then you can buy workers comp on the private market or through a broker. Just remember, your accountant and your bank most likely won’t guarantee compliance, like a HR or payroll software provider would. If you have employees or contractors who log time worked, you need to consider this when you are picking a payroll solution in order to make sure you aren’t causing yourself extra work (and leaving room for error in what people are paid). Here’s where time tracking software comes in. The time your people are tracking should integrate with your payroll system, or you need to have a way of creating a report that links to your payroll system. Similar to time tracking, if you provide paid time off, sick leave, or if you simply need to track absences, you will want a software solution that helps you do this so there’s less paperwork for you and to provide you with insights into your workforce and potential hiring/firing decisions. Gusto includes all of this in its HR/payroll software. Ok, so we might be biased towards payroll software like Gusto as the best solution, but it’s only because as a small business ourselves, we use a PEO. If we didn’t, we certainly would use payroll software to keep our owners’ heads free of paperwork and compliance forms, and to ensure that our employees are paid on time and taken care of. Pricing out payroll software like Gusto is worth a go when you start to work to find your payroll solution.